Damon Rinard, who now works for Cannondale, had to turn his Web pages about bicycling over to Sheldon Brown back in 2001 when hired by an earlier employer. Rinard’s pages contain a wealth of information on bicycle design, and the renowned Spocalc bicycle spoke length calculator. 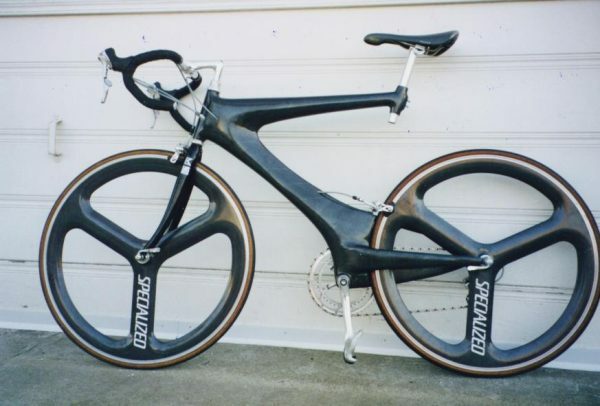 Rinard even describes how to build a carbon fiber bicycle frame at home, and it’s easier than working with steel. His pages on improving aerodynamics are a real eye-opener. We have improved the translations of several articles originally written in German, checked links and reformatted the pages to make them easier to read in a modern browser. This entry was posted in Updates and tagged aero, aerodynamics, bicycle, carbon, carbon fiber, carbon fibre, Damon, Damon Rinard, frame, framebuilding, Rinard, shelbroco, Sheldon, Sheldon Brown, sheldonbrown, sheldonbrown.com, Spocalc, wheelbuilding. Bookmark the permalink.